The new 64-bit A9X SoC doubled memory bandwidth, doubled storage read and storage, and offered 1.9X the performance of the iPad Air 2. 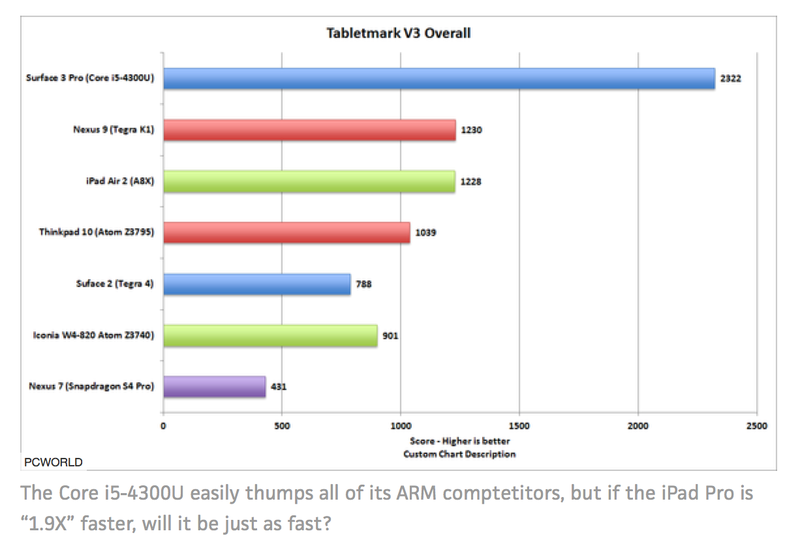 To see how Apple’s fastest tablet stacks up against the Surface Pro 3, PC World dug up performance numbers run internally to compare to some publicly available data. Using BAPCo’s TabletMark v3, we can see how the iPad Air 2 and the A8X rate here.